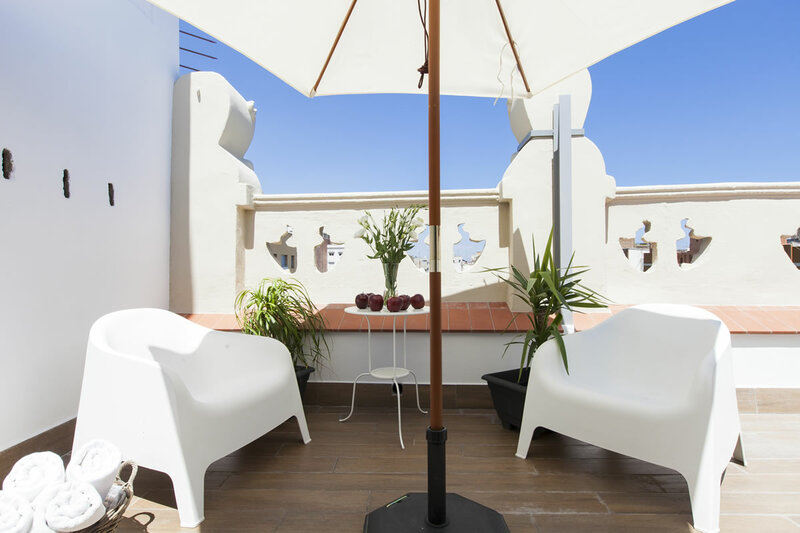 Charming Flats - Trendy Terrace penthouse is a fantasitc 1 bedroom and 1 bathroom apartment with room for 4 people. 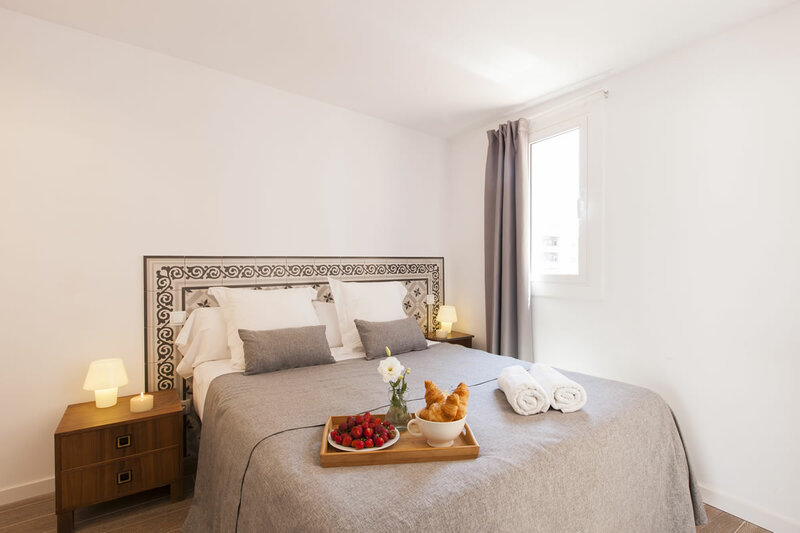 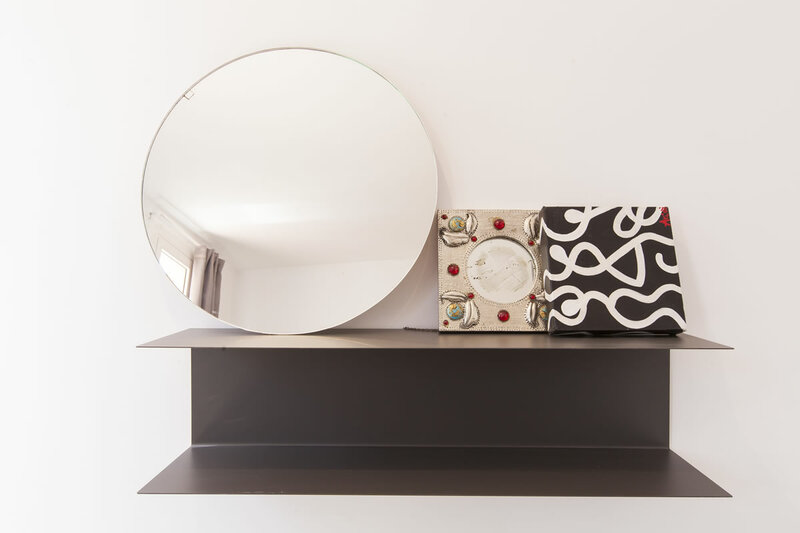 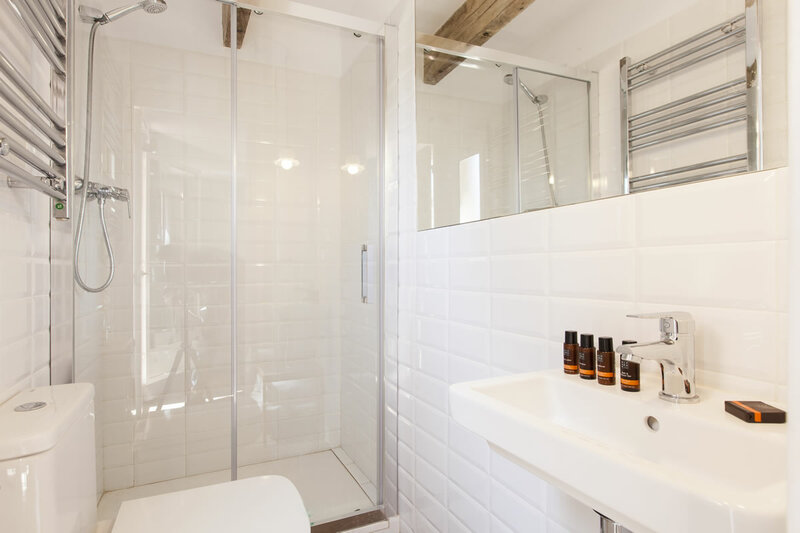 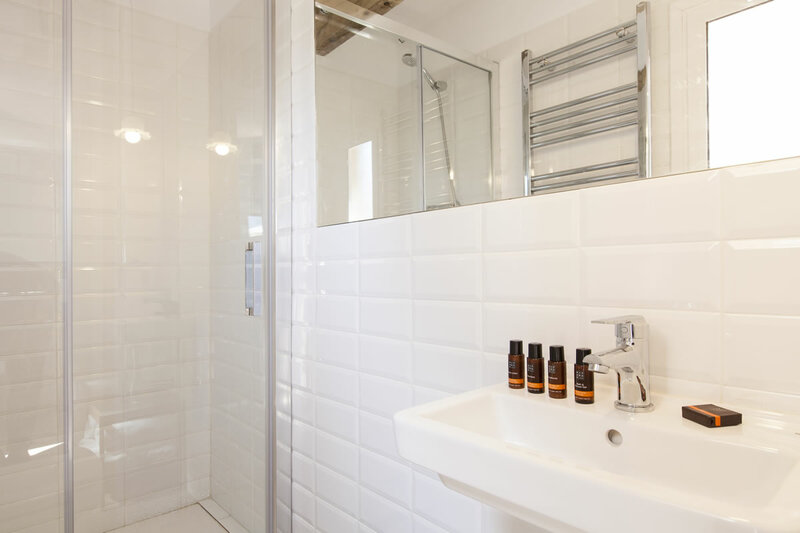 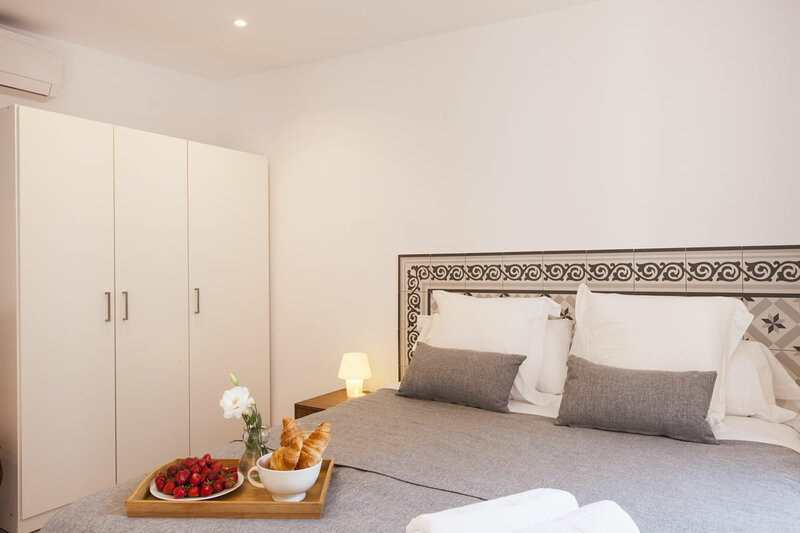 The apartment includes a cozy double bedroom with a double bed together with an in-suite bathroom, and also has a small balcony overlooking the rear of the building. 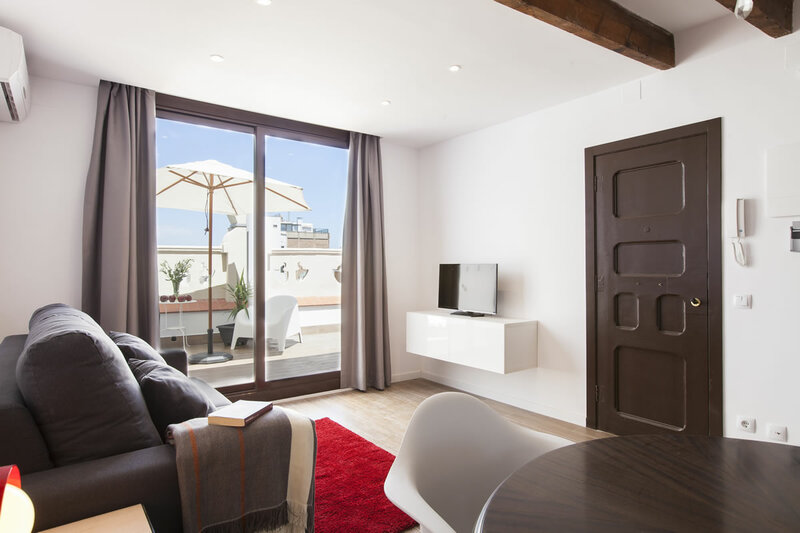 Furthermore, the apartment has a lovely dining room with a double sofa bed creating capacity for four people. 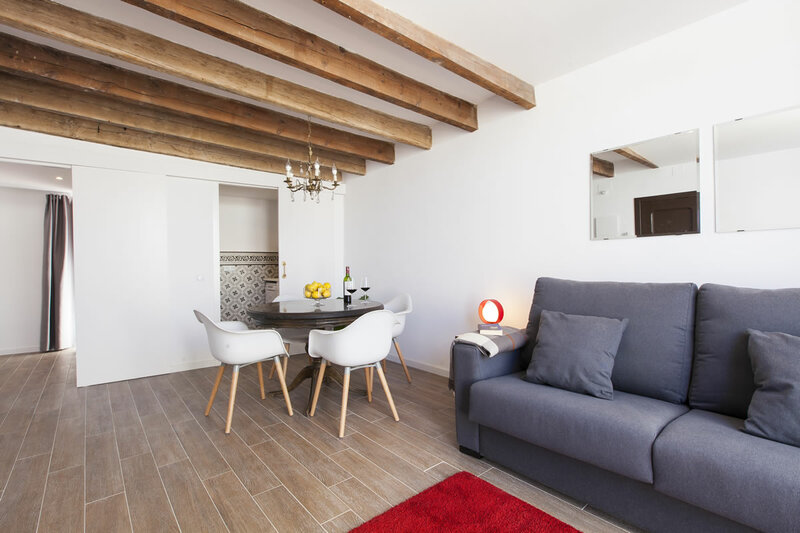 The wooden beamed ceilings add a warm, rustic and cozy touch to the ambience. 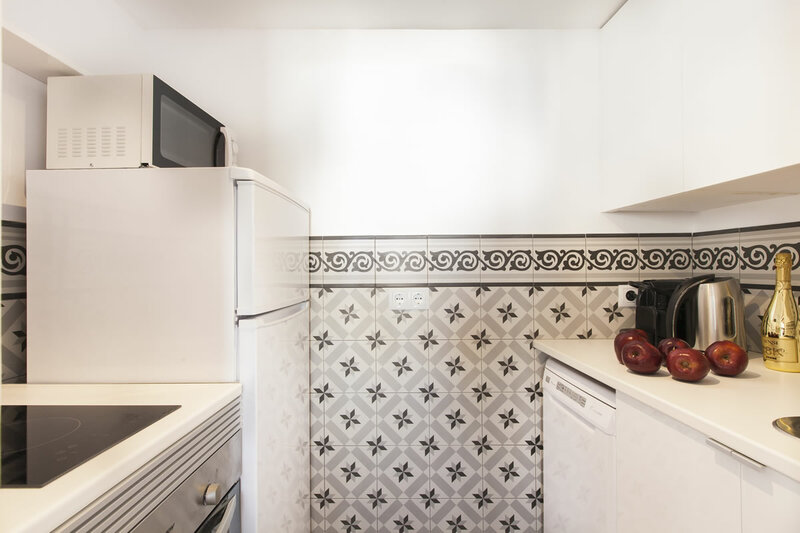 Right next to the bright dining room is a very practical kitchen with all appliences you might need: oven, microwave, dishwasher etc. 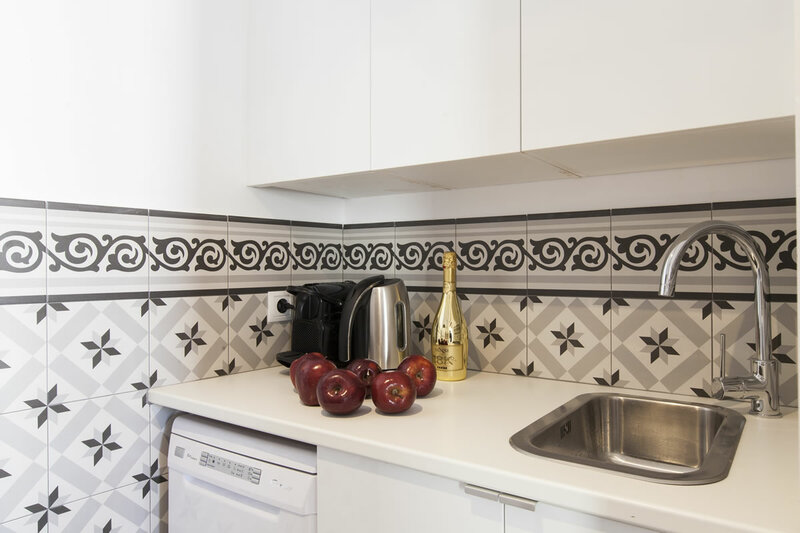 The apartment is equipped with everything necessary to make you feel at home: free Wi-Fi, heating, air conditioning, TV and many more amenities. 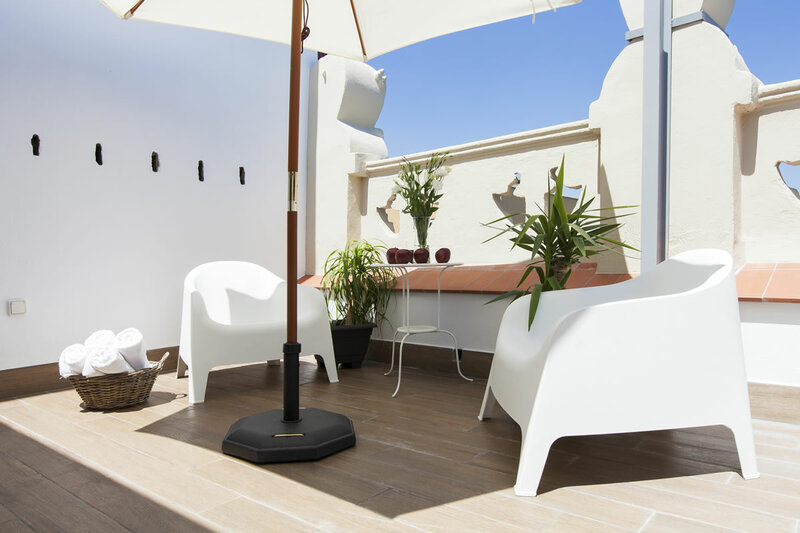 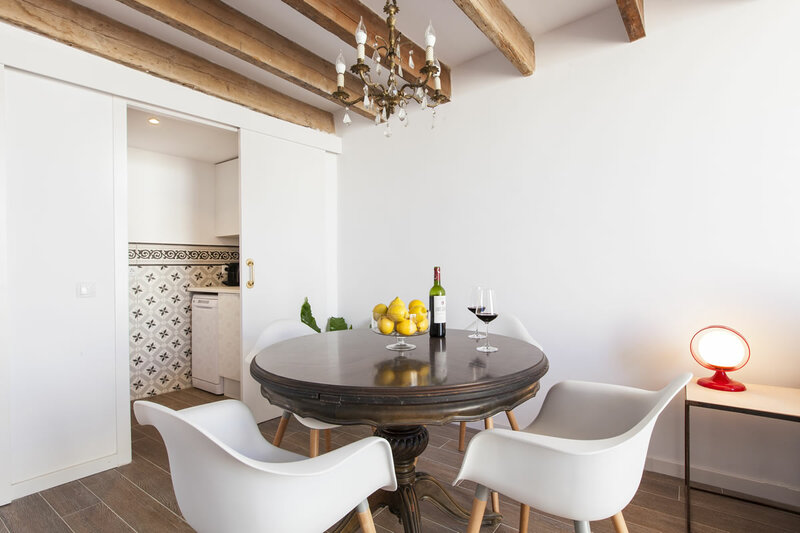 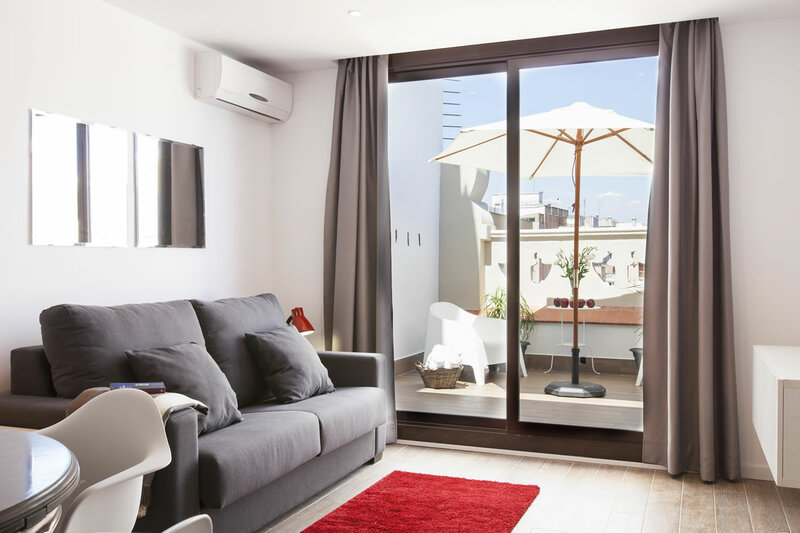 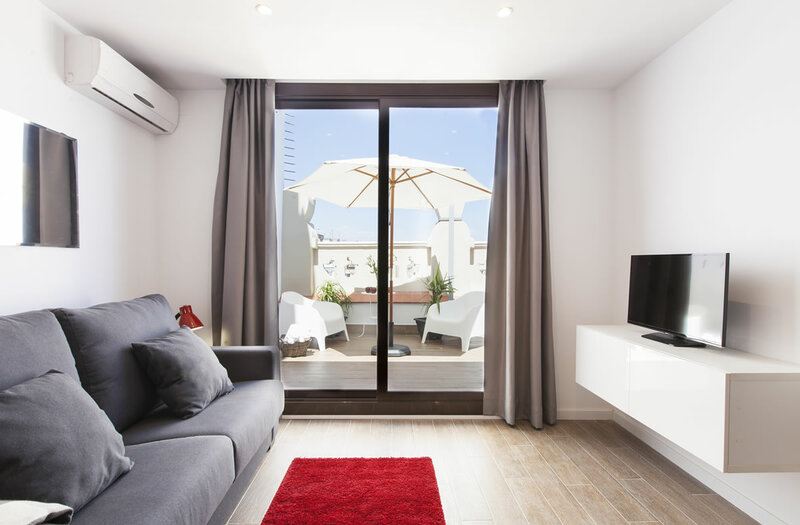 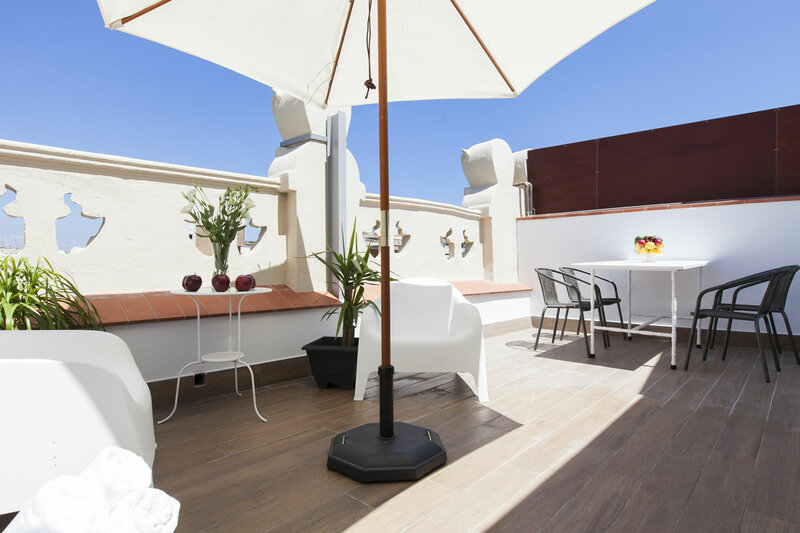 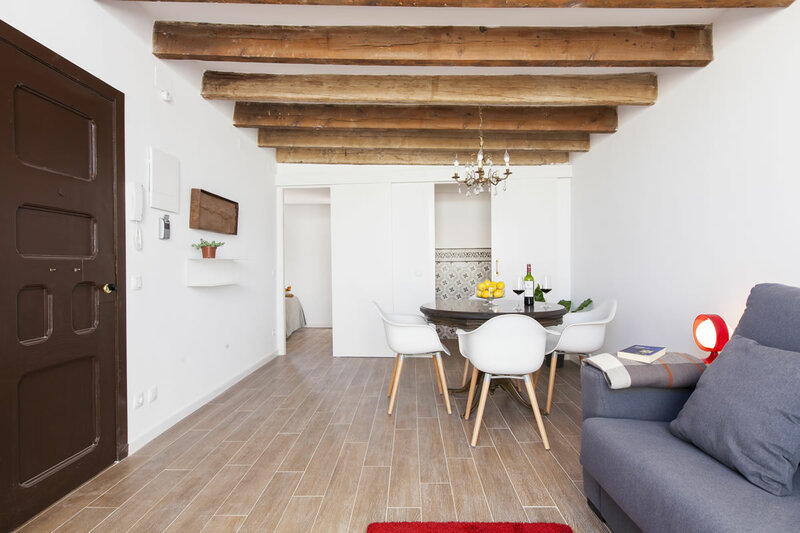 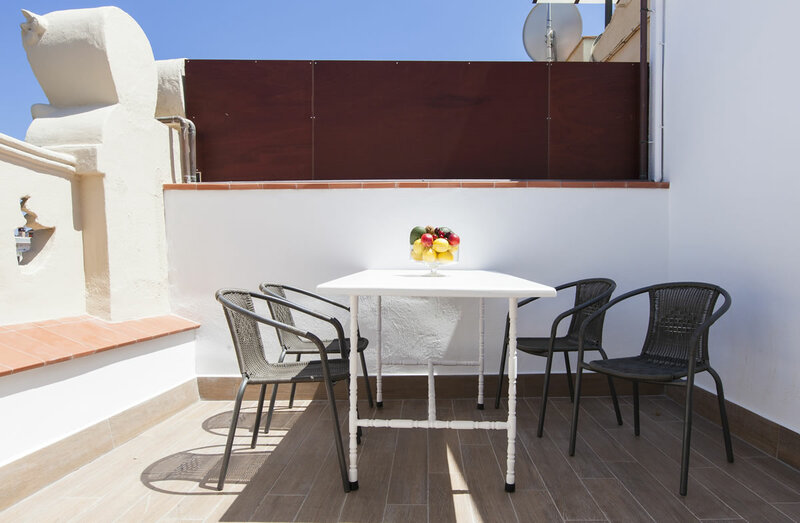 One of the charms of this apartment is that on the top floor you have an ideal place to enjoy the sun of Barcelona on the private terrace, with a coffee or an outdoor dinner.